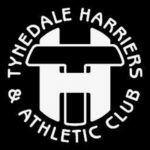 You are welcome to come along to the Club and find out more about the coaching/training we can offer our members, as well as the competition and social opportunities. If you wish to join or find out more Seniors can come along to our club night on a Tuesday (6pm Juniors and 7pm Seniors) and give it a go for a couple of weeks. If you wish to formalise your membership you can then join the club on-line via this website.